The first Nigaah Art Awards were held on August 26 at the Mohatta Palace in Karachi. 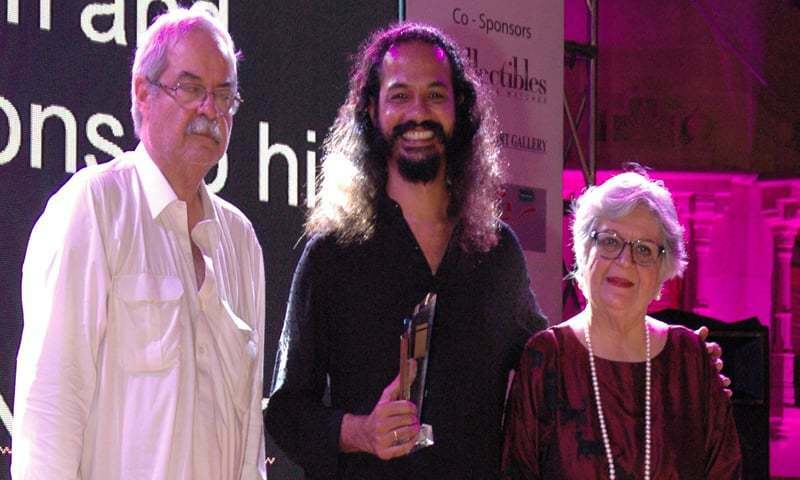 The brainchild of Tauqeer Muhajir, Editor and Publisher of Nigaah Art magazine, the idea of organising Pakistan’s first awards for the art industry came about in March this year. Muhajir’s vision was to “to celebrate the work of Pakistan’s emerging and established artists across a variety of genres,” and hence the tagline ‘Art can never be judged… it is always honoured and celebrated’. The jury was chaired by Hameed Haroon (CEO, The Dawn Media Group) and included Amra Ali (art critic, curator and co-founder, Nukta Art magazine), Marjorie Husain (art critic), R.M. Naeem (Assistant Professor NCA, Lahore), Adil Salahuddin (GM, Pakistan Post Foundation and Member Board of Governors, NCA, Lahore), Taimur Ahmed Suri (Assistant Professor, Media Sciences, SZABIST) and Tauqeer Muhajir (Editor, Nigaah magazine). 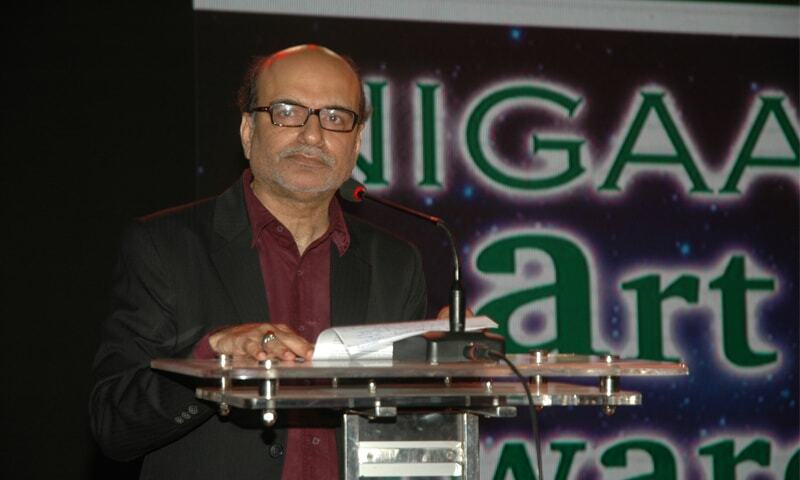 Tauqeer Muhajir, Editor and Publisher, Nigaah magazine. Gathering the works of different artists for review was one of the biggest challenges for the Awards team. 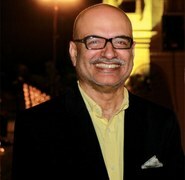 However, Muhajir, an art patron himself, encouraged art galleries across Pakistan to come forward and become a part of this first-of-its-kind initiative to recognise contributions in art. To this end, a gallery meet was organised in July; this generated a buzz in the art community and interest in the event. 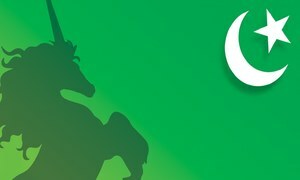 As a result, entries started pouring in almost immediately not only from Pakistan, but also from expatriate Pakistani artists based in Dubai, Melbourne, Nigeria and Shanghai. Artists could submit entries in 13 categories including photography, calligraphy, drawing, printmaking, 3D sculptural work, miniature, landscape, portrait, still life, abstract, art critic, curatorial work and emerging painter. The event attracted art patrons, art gallery owners, painters, sculptors, photographers and art critics. 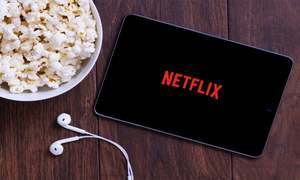 Well-known names from the art and media fraternity that were present included Riffat Alvi, Noor Jehan Bilgrami, Rehana Hakim, Salima Hashmi, Hameed Haroon, Ayesha Tammy Haq, Shehnaz Ismail, Sameera Raja, Farrukh Shahab, A.S. Rind and Rainer Schmiedchen, Counsul General of Germany. The Nigaah Art Awards' jury members. The event included sitar and tabla performances by Shehroz Hussain and Wajahat Ali, Dastaan Goyee, an Urdu narrative by Fawwad Khan, and live painting by artist Farrukh Shahab. An auction of paintings was also conducted, the proceeds of which will be used to provide scholarships to art students and aspiring artists. 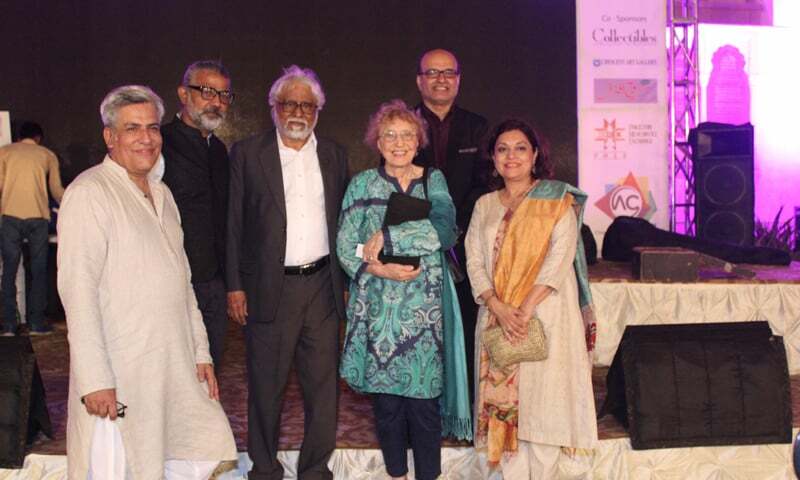 Two lifetime achievement awards were presented to Salima Hashmi and Marjorie Husain for their outstanding contributions to art in Pakistan. “It was an honour to present this award. The dedication and achievements of Salima Hashmi and Marjorie Husain deserve many more accolades” commented Muhajir. Muhajir emphasised that this is just the beginning of an amazing art journey. 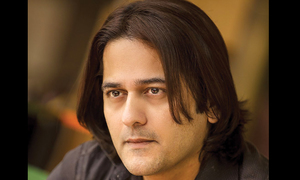 He plans to continue organising Nigaah Art Awards every year, on a much larger and grander scale. Will art cinema find a place?